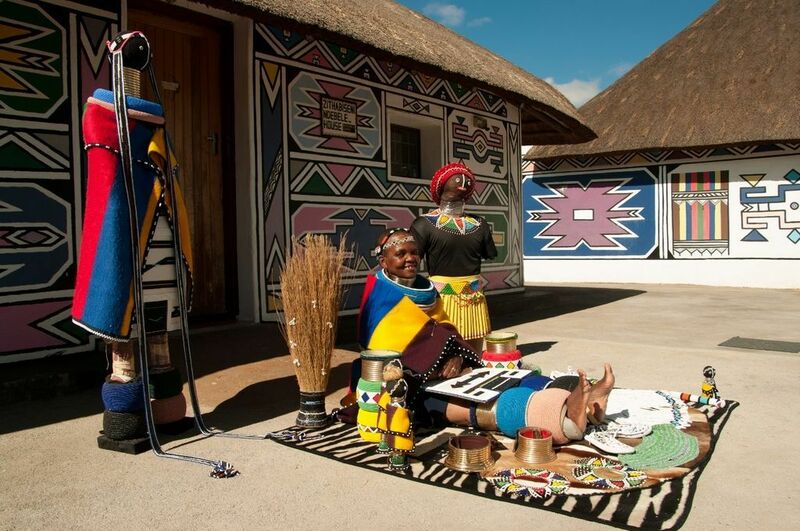 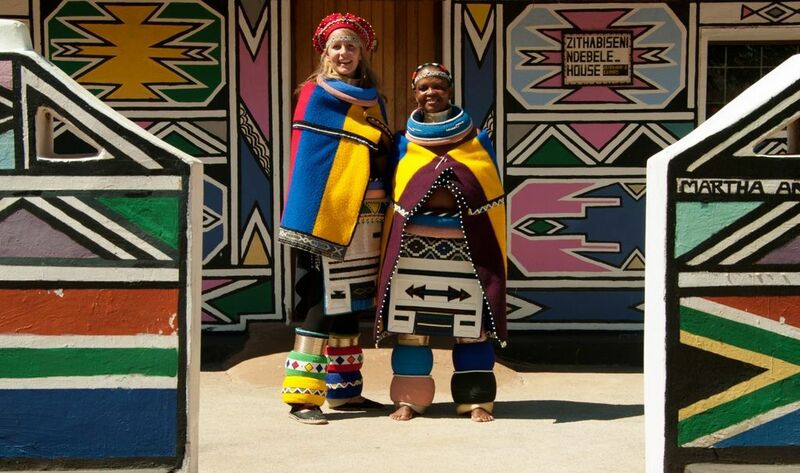 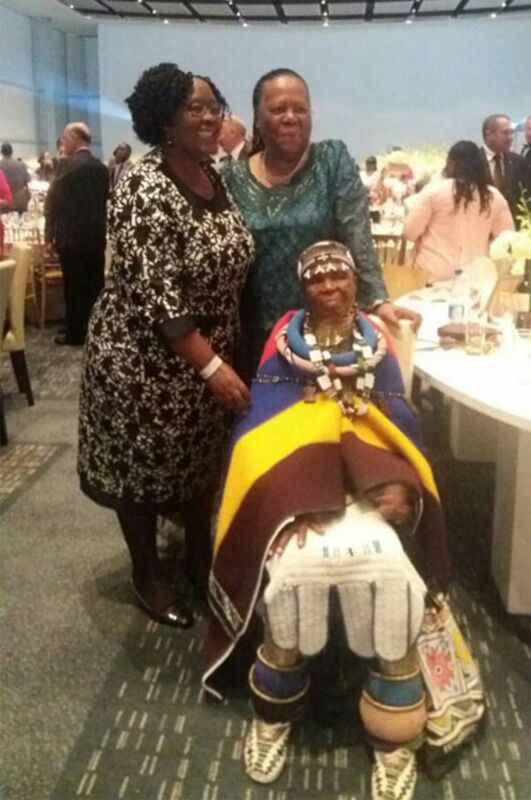 Esther Mahlangu was born in 1935 on a farm outside Middleburg, in what is now the Mpumalanga province. 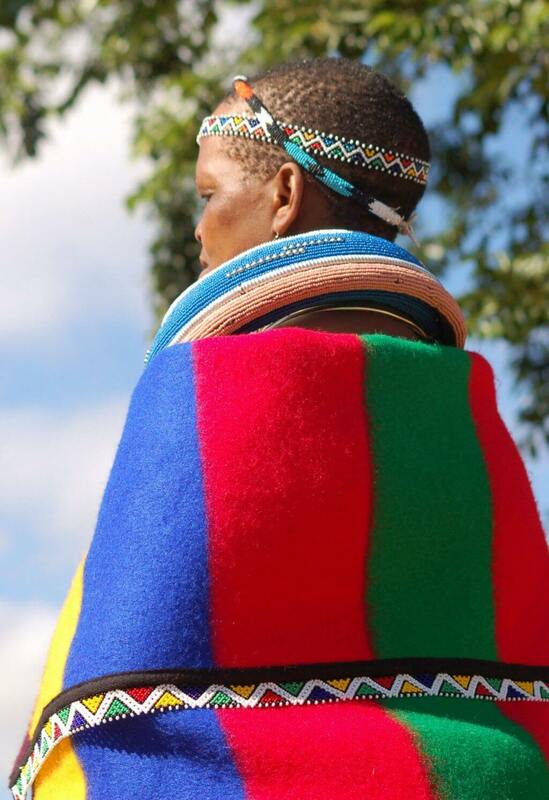 She was the first of nine children: six boys and three girls. 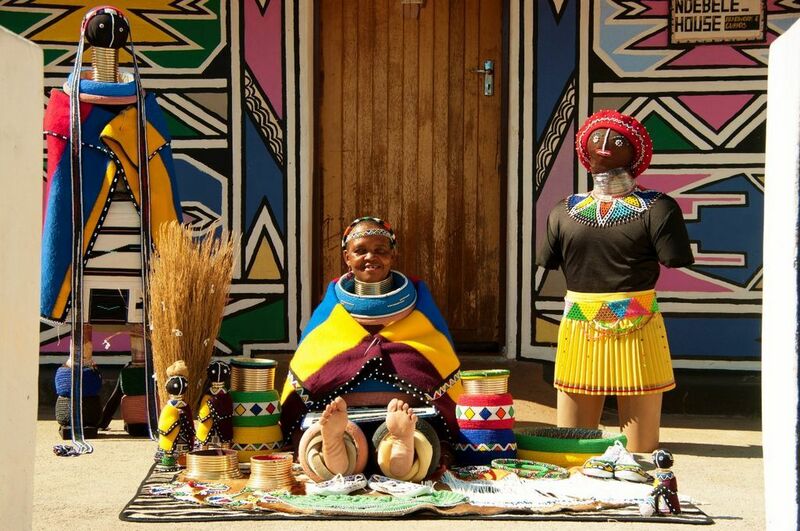 Following traditions passed down from her mother and grandmother, she learned traditional Ndebele wall painting and beadwork as a child. 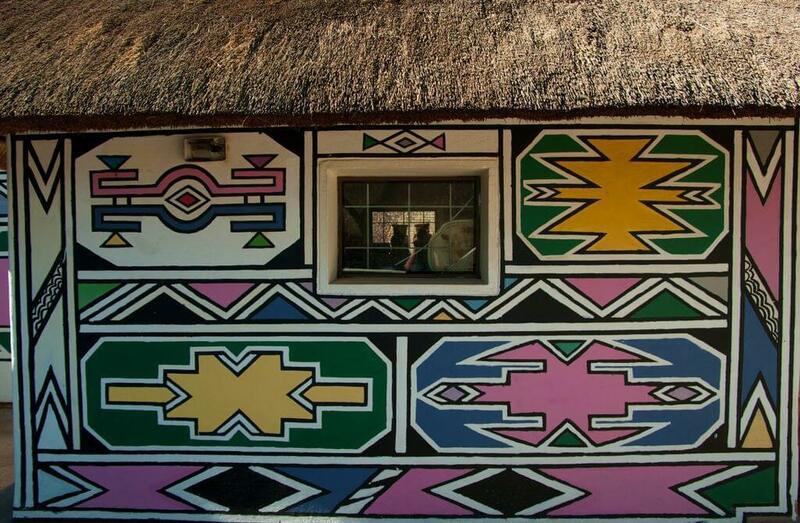 She became an expert in executing murals as a teenager, using a widening range of paint colours that emerged in the 1940s. 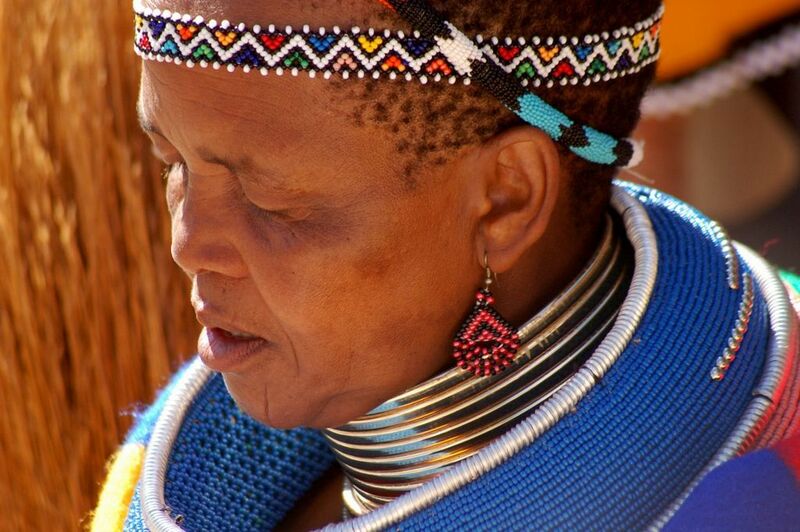 She married and had three sons, but lost her husband and two of her children. 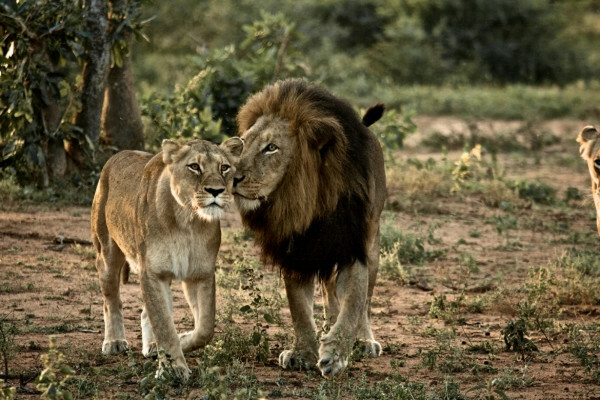 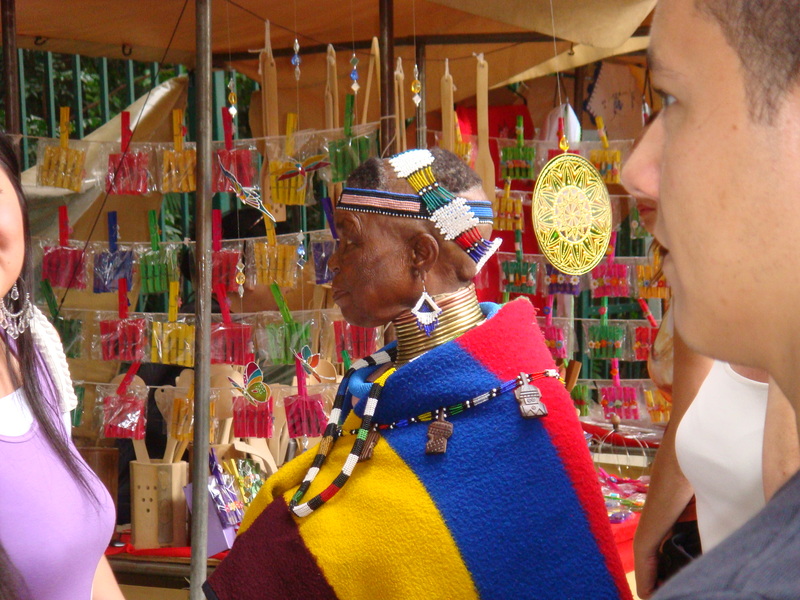 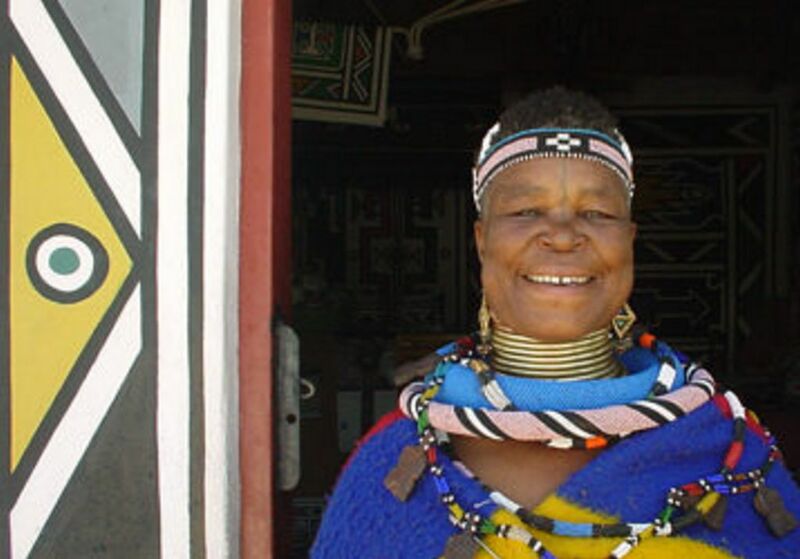 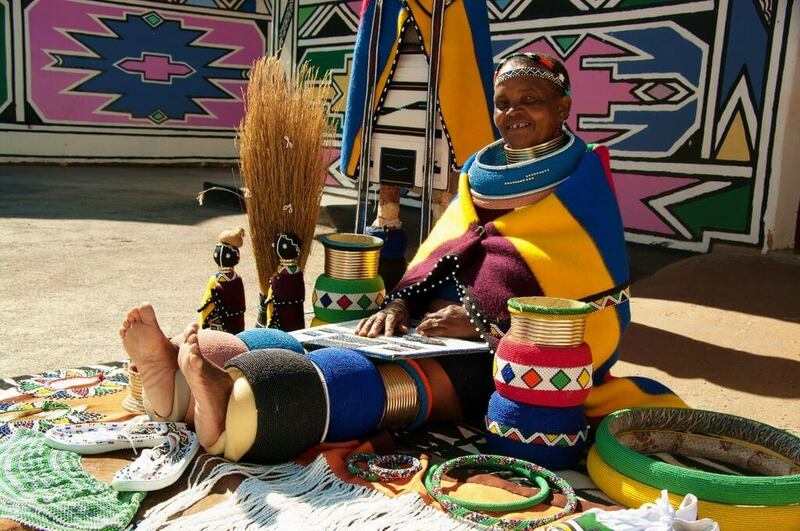 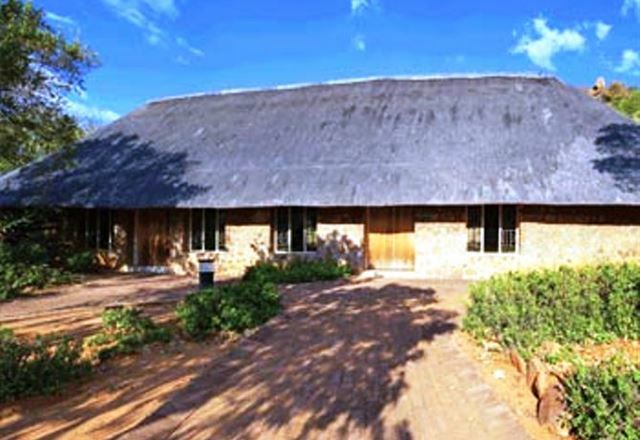 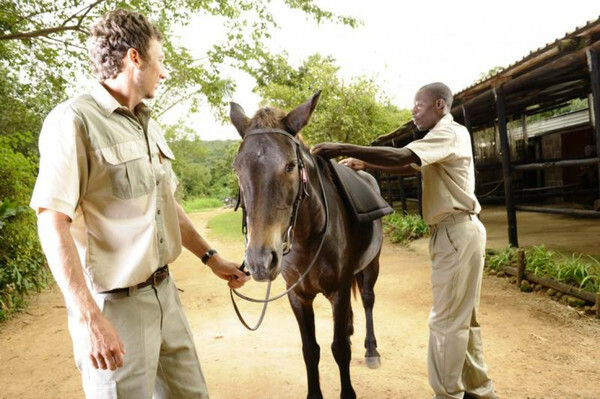 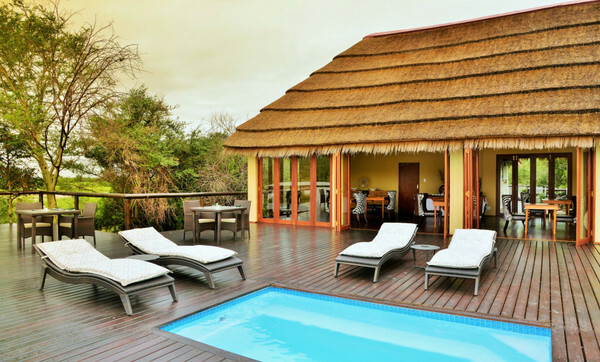 Between 1980 and 1991 she lived and worked at the Botshabelo Historical Village, an open-air museum of Ndebele culture. 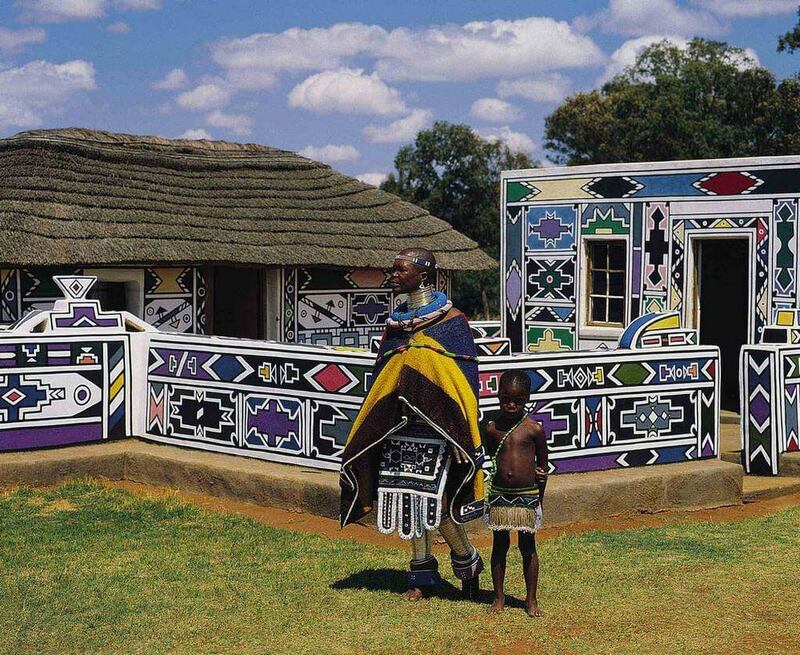 In 1986, researchers from Paris who were travelling the world to document traditional arts saw the paintings on Mahlangu’s house. 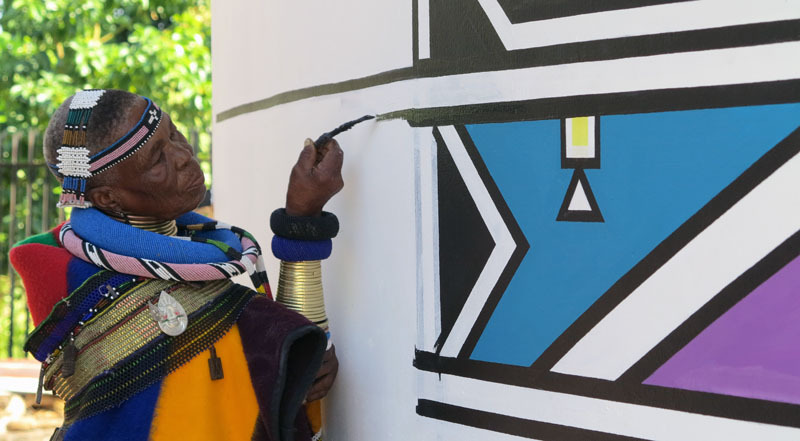 They invited her to create murals for an exhibition of international contemporary art, the Magiciens de la Terre (‘Magicians of the World’). 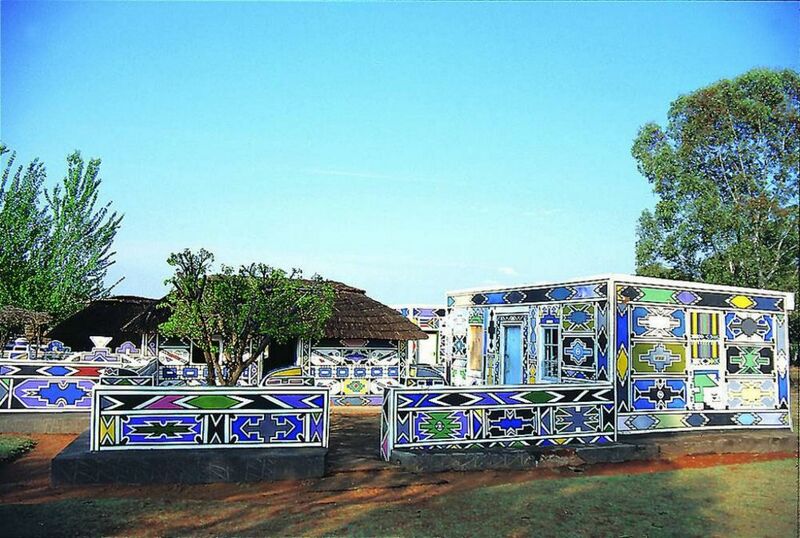 She travelled to France in 1989, staying there for two months and painting a house in front of thousands of spectators. 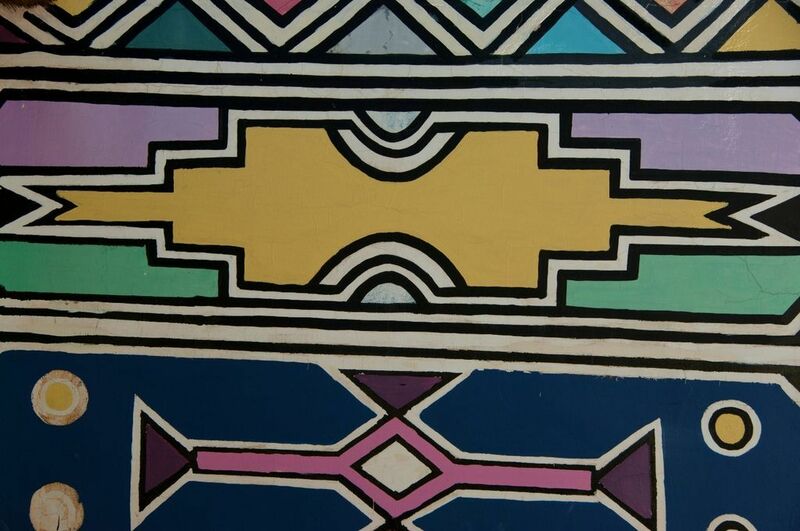 She also decorated a wall inside the AngoulÁªme Museum of Fine Arts and showed her work at other locations in France. 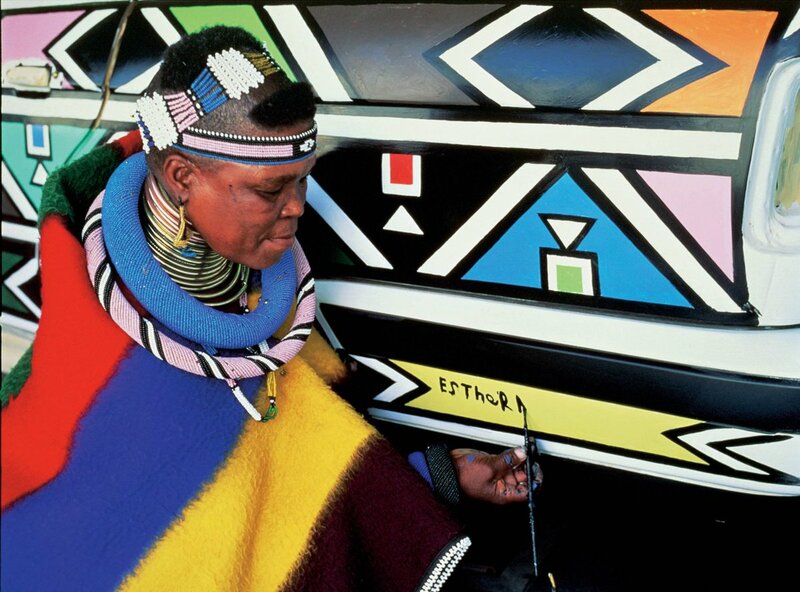 In 1990 she began to paint murals for public venues in Johannesburg and elsewhere in South Africa, soon followed by locations in Europe and the United States. 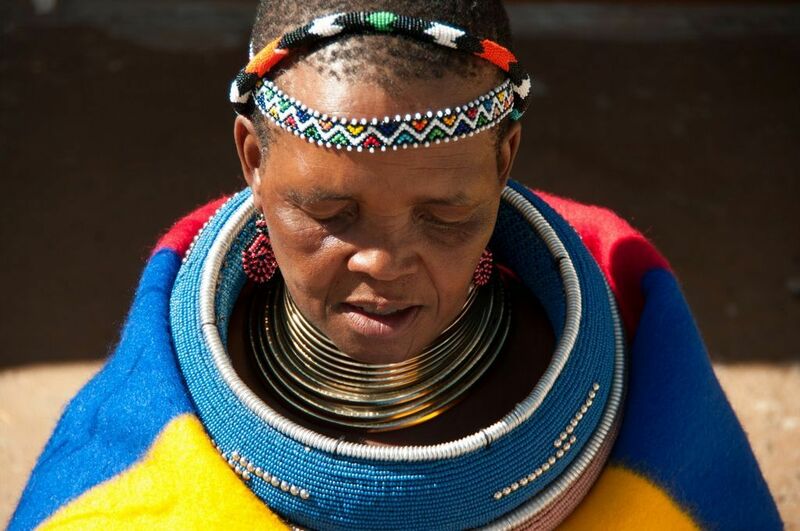 Her work appeared in exhibitions in more than a dozen countries. 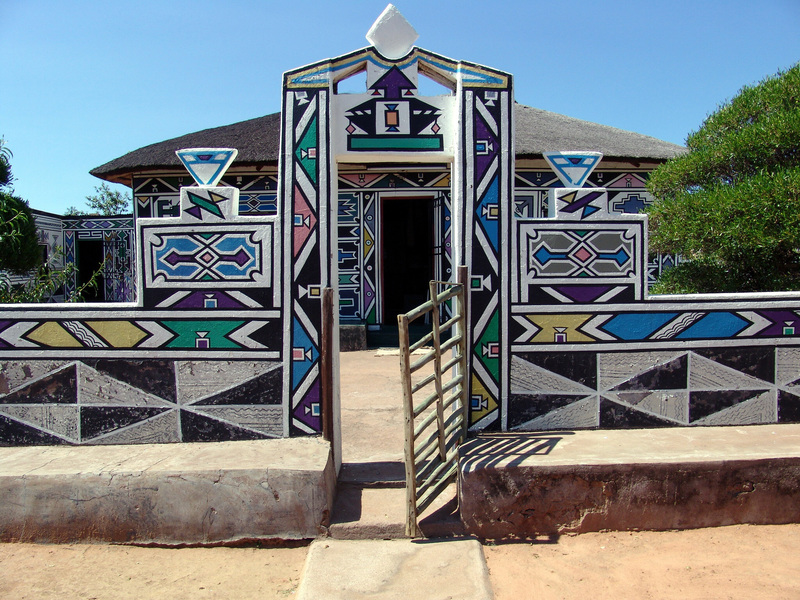 Mahlangu was the first person to transfer the traditional Ndbele style of mural painting to canvas. 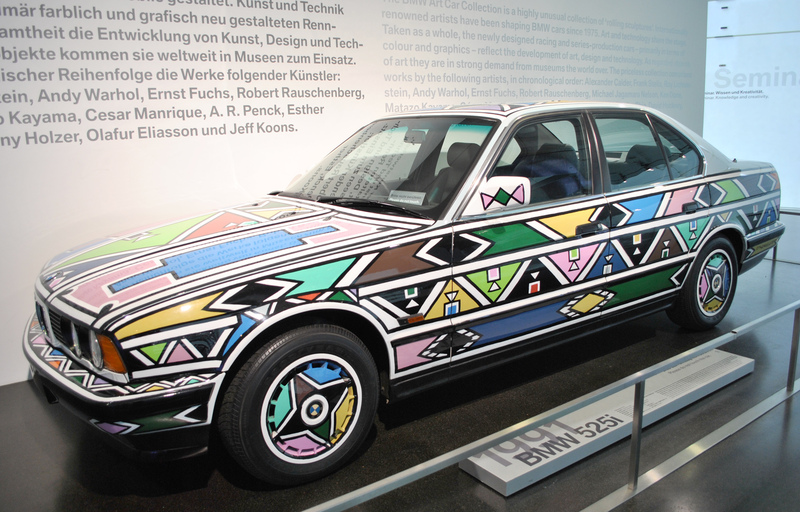 She painted her geometric patterns on a BMW 525i in 1991, becoming the twelfth artist and first woman to take part in the BMW Art Car Project after figures such as Andy Warhol and Roy Lichtenstein. 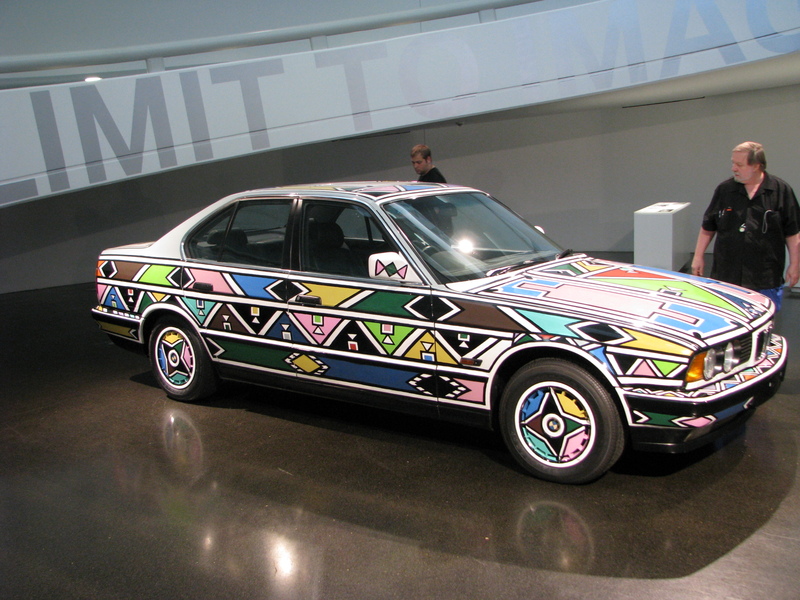 In the years that followed she exhibited work in countries around the world, from Mexico to Switzerland to Australia. 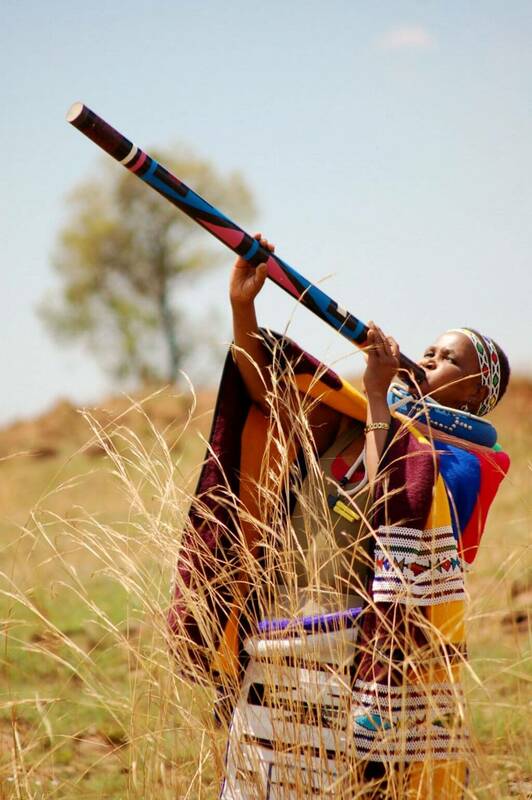 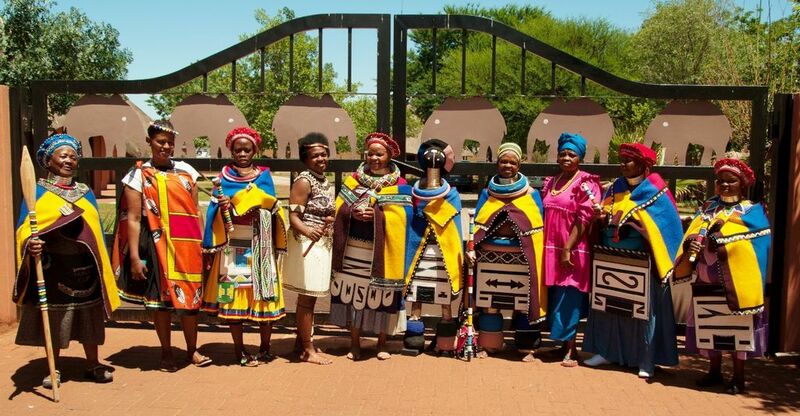 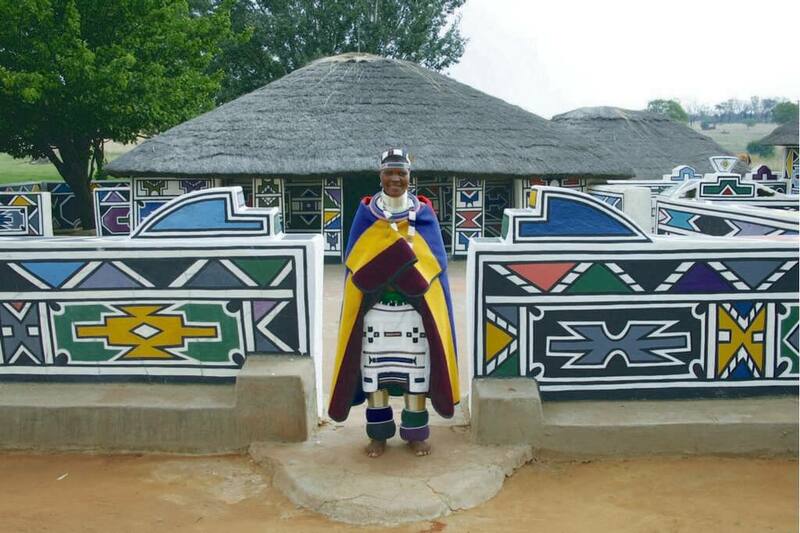 With the goal of preserving her cultural heritage, Mahlangu started an art school in the backyard of her home in Mabhoko (Weltevreden) in the KwaMhlanga district in Mpumalanga Province. She funded the school herself, and when not travelling for exhibitions she mentors young artists in the traditional style of Ndebele design. 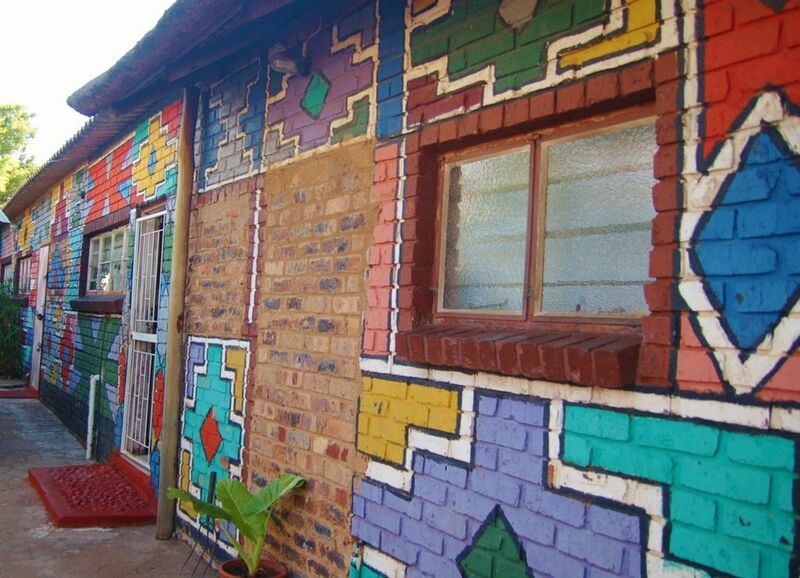 Pupils learn how to mix pigments and paint straight lines, freehanded and without sketches, using their fingers or chicken feathers. 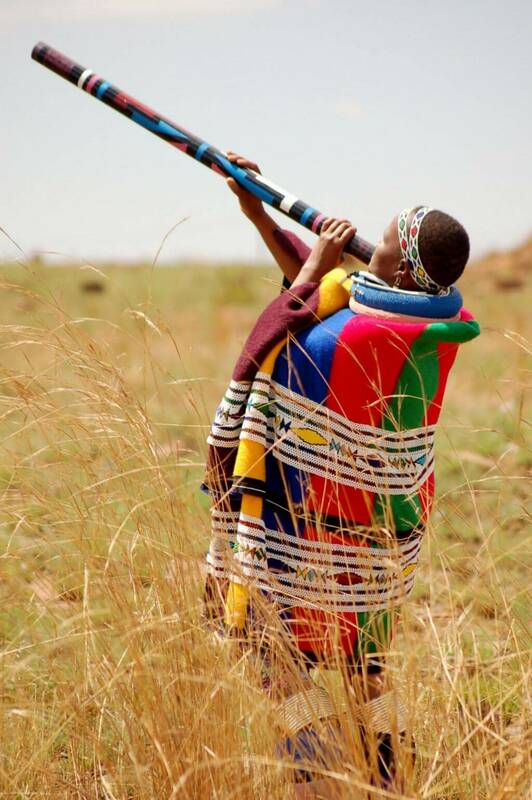 Mahlangu’s work is featured in collections in South Africa, the United States, Japan, Germany, France and elsewhere. 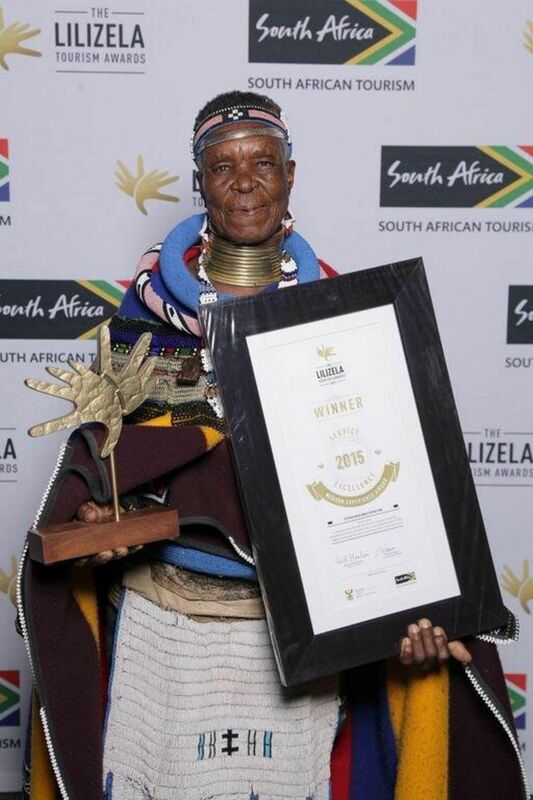 Her awards include the South African government’s Order of Ikhamanga, silver class, in 2006, as well as the Mpumalanga Arts and Culture Award, an award from the French Ministry of Culture, two awards from Radio Ndebele and others from South Africa and abroad.